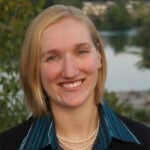 Jessica Wall, MD, completed her medical school education at The Ohio State University College of Medicine. She then went on to complete her residency at the University of California Los Angeles (UCLA) Medical Center. She currently serves as a pediatric emergency medicine fellow at the Children’s Hospital of Philadelphia.